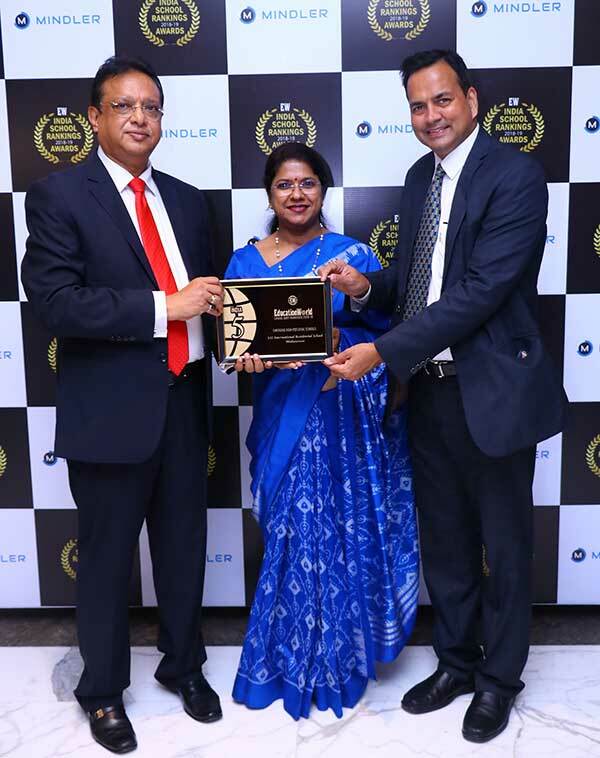 September 28, 2018, a day to be remembered and cherished by the SAI International Residential School (SIRS) fraternity on achieving a new milestone of being ranked amongst India’s Top 10 Emerging high-potential Schools in the EducationWorld Grand Jury Awards 2018 held at New Delhi in a scintillating ceremony. A Grand Jury of well-informed educationists and educators rated and ranked the School over 800 Schools of the Country in 11 different categories of 21st century education excellence. The award was received by Chairman Dr. Bijoy K Sahoo, Vice Chairperson Dr. Silpi Sahoo and Headmaster Shri Amitabh Agnihotri at the India School Rankings Award function. Dr. Sahoo expressed his heartfelt gratitude to the students, teachers, parents, and the entire SAI fraternity for their relentless support and firm belief in the leadership, which facilitated in the consistently constant success of SAI and placed it in the top rung of the national K-12 educational scenario. SIRS believes in high values and comprehensive learning and instills the same in its pupils. SIRS has come out with flying colors and bagged the second award in its maiden year. Awards manifest the endeavors on the path of achieving excellence with quality and nurturing the body, mind and soul. The SAI International fraternity is progressively moving ahead with time and accomplishing cognizance in terms of holistic learning and bringing about an educational reformation by harnessing and polishing the intellects of children and pioneering new age learning in the state of Odisha.